Our juvenile athletes travelled to Co. Cork on Sunday for the Munster Even Age Championships and great credit is due to our Boys U/12 club team of Aaron McLoughlin, Jake Bowe, Aaron Moore, David Doyle and Cormac Burke who brought home Munster Bronze medals following their excellent performances in the event. In addition Helen Cleere and Emma Gleeson were members of the Tipperary U/12 and U/14 teams that won bronze inter-county medals. Six young girls lined out for the club in the Girls U/10 event with Alana Spillane having a great race to finish 34th overall and fourth Tipperary girl home. Dearbhla Gleeson finished 73rd with Saoirse Doran in 80th. Blathnaid Lloyd came home in 98th followed by Maebh Leahy in 107th and Orla Duggan 126th. The club team finished 13th overall. In the Boys event Adam Spillane led the club contingent home in 53rd place. Lorcan Burke in his first ever Munster championship finished 62nd with Frank Doyle crossing the line in 92nd. Jack Reddan finished 109th followed by Adam Phelan in 129th. 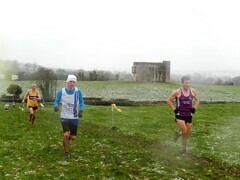 Sean Boland finished 133rd, Fred Power 139th and Shane Burke 147th. The club finished 12th in the team competition. Our first Munster medal of the day came courtesy of Helen Cleere who was the sixth Tipperary athlete across the line in an excellent 36th overall in the Girls U/12 event and this helped the Tipperary team to the bronze medals in the Inter-County championship. Amy Reddan has a very strong finish to cross the line in 77th place with Louise Hickey in 80th, Tara Gleeson 95th and Una Duggan 139th to finish 13th overall in the club section. 16 club teams contested the Boys U/12 event and each of the five athletes who represented the club put in a huge effort over the entire race with Aaron McLoughlin finishing 21st, Jake Bowe 27th, Aaron Moore 45th, David Doyle 54th and Cormac Burke 128th. With a score of 147pts the Boys finished level with St. Cronan’s of Clare in the club event but with our fourth athlete finishing ahead of their fourth athlete the bronze medals made their way home to Moyne. Well done to all five on a terrific performance. In the Girls U/14 event Emma Gleeson having finished 34th overall was a vital member of the Tipperary team that claimed the bronze medals. Emma finished fifth overall for Tipperary and she was followed home by Cathy Hogan in 62nd, Emma Leahy 64th and Aine Duggan 70th to finish 7th club in the team competition. Aoibheann Duggan was our lone representative in the Girls U/16 event and she mastered the course to finish 65th overall. Dylan McLoughlin, Brian O’Callaghan and Sean Burke represented us in the Boys U/16 event and all three put in sterling performances. Dylan finished 43rd, Brian 48th and Sean 50th. The three boys helped the Tipperary team to finish 4th in the team event. Our final athlete on the day was Nathan Bowe who competed over 6,000mts in the Boys U/18 event. He did not let the distance faze him and ran a very competent race to finish 31st overall. Well done to all the athletes on their performances and with some athletes now qualifying for the All Ireland Championships in Abbotstown in November they will hope to give an equally good performance there.